Eating disorders are the most deadly mental health conditions in today’s world. From anorexia and bulimia to binge eating disorder and overeating, eating disorders come in many forms. According to the National Association of Anorexia Nervosa and Associated Disorders, only 10 percent of people who suffer from eating disorders get the treatment they need to heal. Due to the deadly nature of this disease, it’s imperative that those struggling with an eating disorder get the necessary care to overcome their disorder. 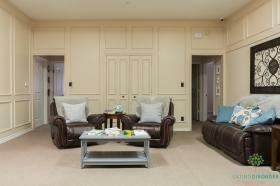 Luxury eating disorder treatment centers offer this high level of comprehensive, high-end care to those who need it. Anorexia nervosa is an eating disorder which leads individuals to lose more weight than is deemed healthy. According to the National Institutes of Health, people with anorexia may have a powerful fear of gaining weight, even if they are extremely underweight. Anorexics often have a distorted view of their body image, and they may not be able to see the reality that others see. "While it’s believed that cultural ideals regarding thin bodies contribute to the prevalence of anorexia in our society, the exact cause of the disease is not known. "While it’s believed that cultural ideals regarding thin bodies contribute to the prevalence of anorexia in our society, the exact cause of the disease is not known. Some experts believe that genetics may play a role in the disorder as it is more common in those who have a close family member who also suffers from anorexia. It’s unclear whether this connection is solely genetically linked or if it could be an environmental contributor. If you suspect someone you love is suffering from anorexia, treatment at a luxury anorexia nervosa treatment facility can be critical. In luxury rehab, the patient will address the psychological issues that led to their disordered eating patterns. Oftentimes, issues of control and self-confidence are addressed in both individual and group therapy sessions. 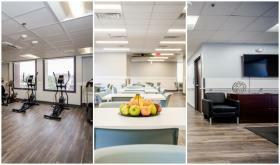 In luxury anorexia rehab, nutritionists and exercise specialists are on staff to ensure patients gain and maintain weight in a healthy manner, giving them a balanced approach to nutrition and exercise. A luxury bulimia nervosa rehab can effectively treat those suffering from bulimia, a condition characterized by binging on large quantities of food and then purging the food from the body. According to WebMD, bulimia is most common in women and teens; however, there are men who suffer from the condition. "While bulimic individuals often vomit after a binging session, they may attempt to purge the food from their bodies in other ways, such as by taking laxatives or exercising excessively. "While bulimic individuals often vomit after a binging session, they may attempt to purge the food from their bodies in other ways, such as by taking laxatives or exercising excessively. The purging behavior is an attempt to remove the food before the body has a chance to absorb the calories and gain weight as a result; however, bulimics are often of normal weight or even overweight. The body absorbs some calories nearly immediately upon ingestion and oftentimes the purging behavior is not sufficient to counteract the large binges. Treatment at a luxury bulimia nervosa treatment center will encompass many avenues of care – the reasons behind the bulimic behavior, nutritional counseling, and group therapy for support from others in recovery. In therapy, bulimic individuals will often address triggers that led to their disordered eating habits. Once they can identify those triggers, they’ll develop methods for dealing with them, with the help of their therapist. As a result, they’ll have a clear plan of action to take when faced with those triggers again. Binge eating disorder is similar to bulimia nervosa but without the purging aspect of the condition. Those who suffer from binge eating disorder simply binge on large amounts of food but take no action to purge the food from their body. As a result, those with binge eating disorder are often overweight or obese. According to Psych Central, those who suffer from binge eating disorder often eat incredibly rapidly during binge sessions. They may also eat until they are uncomfortably full, even in pain from the amount of food they consumed. The eating sessions often occur when the individual is not physically hungry but is instead eating to fill some other void, such as an emotional need. After a binge eating session, in which the individual may consume tens of thousands of calories, the person often feels intense feelings of shame or guilt. This cyclical process can occur quite regularly in those who suffer from the disorder. At a luxury binge eating disorder treatment center, the psychological process that leads to the binge eating will be identified and addressed. Once the individual can identify the real reason they’re binging, they’ll be better able to stop the behavior. Familial support can be vital in binge eating disorder treatment. With proper support in place from family and friends, care at a luxury binge eating rehab can be more effective in the long-term. Those who suffer from overeating disorder eat more than is deemed healthy on a regular basis. While they may not partake in large binge sessions where they contain tens of thousands of calories, these individual regularly overeat. It often feels like a way of life for those who suffer from overeating disorder. With chronic overeating, a bevy of health effects can occur, such as obesity, high blood pressure, joint problems, breathing difficulties and high cholesterol. In a luxury overeating disorder treatment program, therapy will deal with the reasons behind the overeating. Many patients discover they have deep-seated issues that lead them to find solace in food. Once the real issues behind the behavior are addressed, the individual is better prepared to not turn to food when triggers crop up. With the right kind of care in a luxury overeating disorder rehab, the person can take charge of their disorder and regain their health. Psychotherapy and nutritional counseling are both fundamental components of any luxury eating disorder treatment program. With the right care and support in place, you can recover from an eating disorder. Whether you or someone you love suffers from anorexia nervosa, bulimia nervosa, binge eating disorder or overeating disorder, contact us today for more information on luxury eating disorder rehab programs that can help.